Where applicable you'll select size, color, etc. after you click the buy button. Fashion Dresses Wholesale By Astylish. 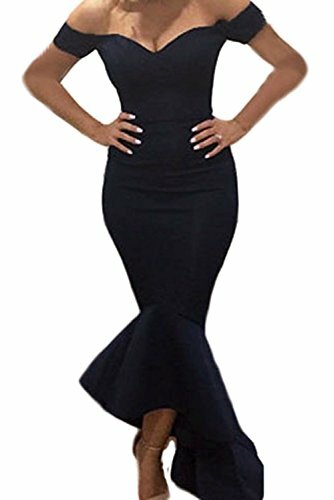 The gorgeous Navy Off-shoulder Mermaid Evening Dress of Astylish evening dresses collection is characterized by a beautiful party jersey fabric that dips high in the front and low in the back to create a beautiful truffled train, sweetheart neck, off-shoulder design and finished with body-hugging fit.